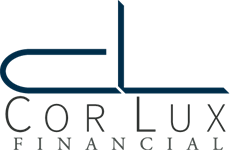 Founded in 1998, CorLux Financial is full-service tax and financial firm located in Eugene, Oregon. Whether you have significant assets to manage — or if you are just starting to accumulate wealth — we have the seasoned know-how to offer you tailored financial expertise. At CorLux Financial, although we are indeed number crunching CPAs, we strive to be much more than that for our clients. We’re here to be your lifelong partners in financial wellness, putting heart into our work and shining light onto every step of your financial journey. We are Certified Kingdom Advisors (CKAs) as well, and we’re proud to be able to offer plans that include Biblical principles. We’d love to talk to you and show you how our family values and experienced advisors are the perfect combination to guide you to long-term financial wellness. Call us today at (541) 505-9896 or email [email protected]. *Investment and financial planning services are offered by Monica Osborne and Colleen Wallace through their affiliation with HD Vest.